Beautiful and trendy pants from Culture. 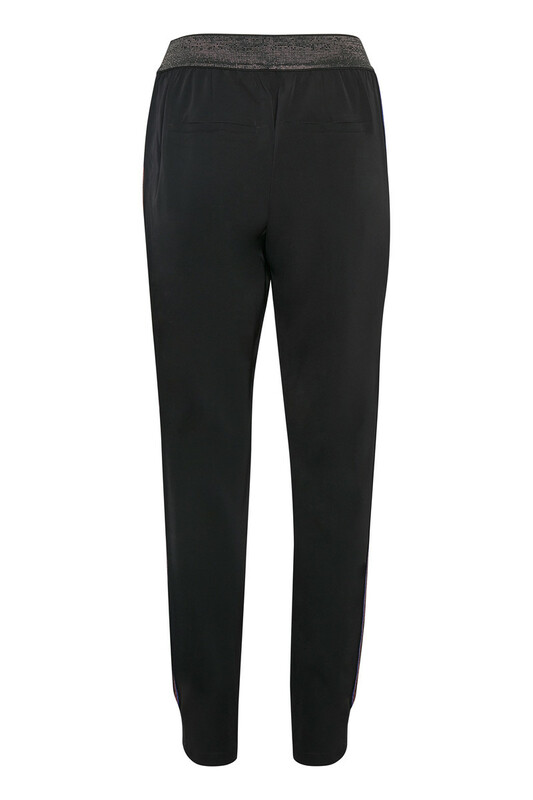 The pants have a good elastic glittery waistband, a regular fit and side pockets. The eye-catching thing is clearly the pants beautiful glitter effect at the waistband as well as the details along the sides. 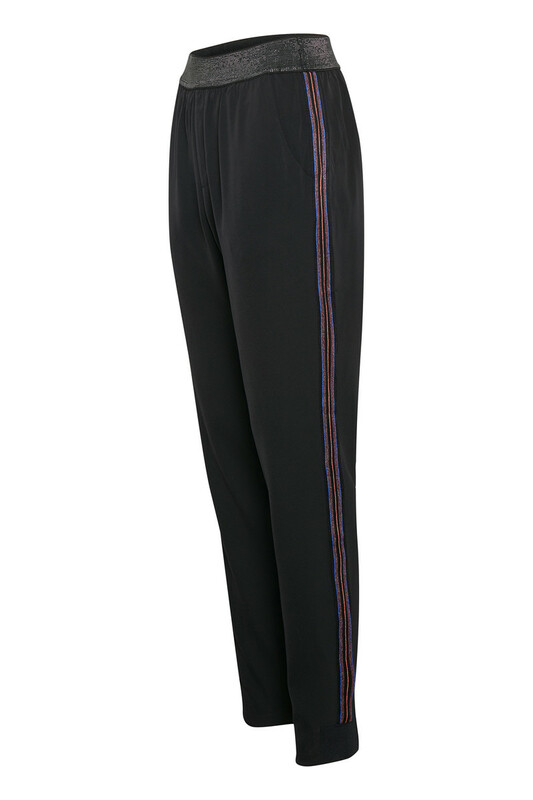 Furthermore, there are jetted pockets on the back and they are very comfortable to wear. 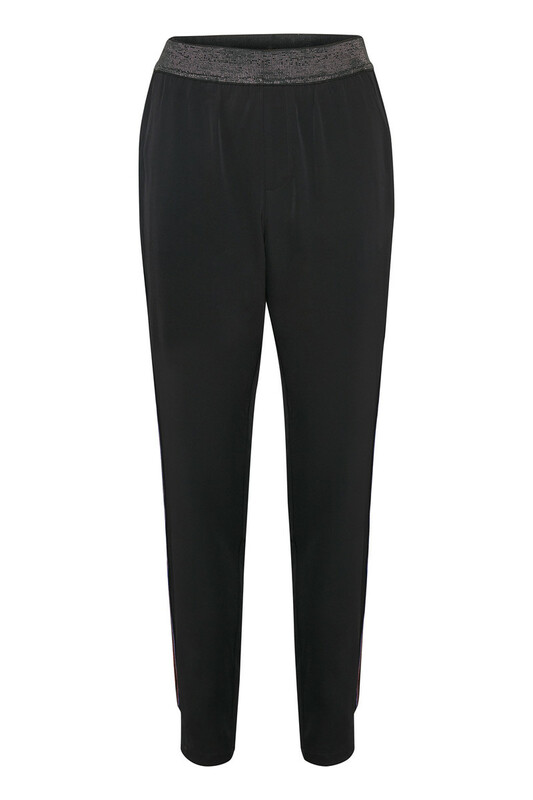 There are many style options with these trousers, as it is both possible to style them in a sporty or feminine look.